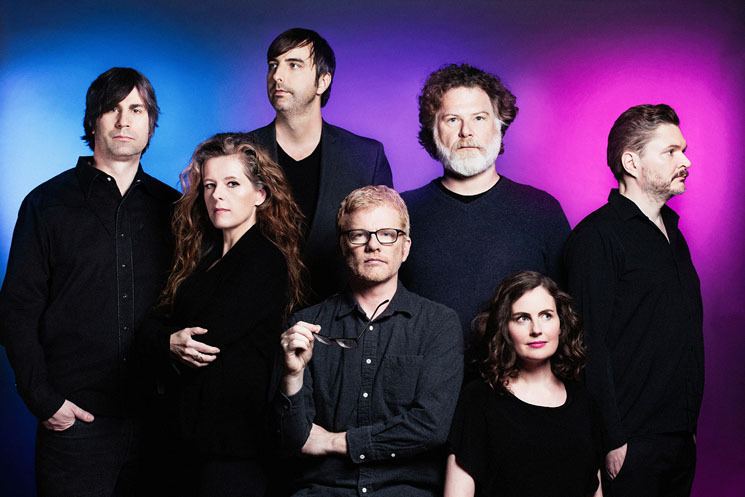 It looks as if the New Pornographers might have a new release on the way, since the Canadian indie supergroup have just shared a teaser of new music. In a tweet, the band shared a minute-long snippet of synth music. It sounds a bit like the electronic sounds that have appeared on the band's last couple of albums (minus all the guitars and drums). The snippet of music comes accompanied by a video showing studio footage and some snowy outdoor shots. Check it out below, along with a couple of photos from the studio. A new release would be the follow-up to the band's 2017 album Whiteout Conditions, which was their first without any songwriting contributions from Dan Bejar (of Destroyer). It remains to be seen whether he will have any role in this upcoming release.